If you're searching for the perfect pamper party ideas to celebrate with the girls, then look no further! Glo's mobile spa experiences are perfect for all the fun of the fair in Blackpool. Be it a hen party, baby shower, birthday party, or a girlie weekend of fun, glo's mobile therapists will come to your accommodation (hotel, self catering apartment/cottage or home) to pamper, preen and give you the most relaxing, fun, and beautifying time of your life. The glo team at hq will take care of all the organisation to ensure you max out on fun time and all you need to do is choose one of the treatments from our range of affordably priced packages and then kick, back, relax and enjoy the treatments. For those that haven't visited Blackpool before then you are in for cheeky, brash and fun-filled time. Strictly Come Dancing fans will be familiar with the Ballroom at The Blackpool Tower! The tower is 518ft tall and was built in 1894 and visitors can not only visit the magnificent Ballroom, but you can experience the tower top views, as well as the tower Circus! You can't miss out on what has been named officially as THE most visited attraction in the United Kingdom: The Blackpool Pleasure Beach theme park. It has a huge number of rides and attractions, but hold to your "kiss me quick"hats cos they've intertwined the classic roller coasters with new coasters to create the Pepsi Max Big One, Grand National, Ice Blast, The Ride, Zipper Dipper, Valhalla, Infusion and the ultimate Big Dipper. We definitely recommend this pre food and drinks! 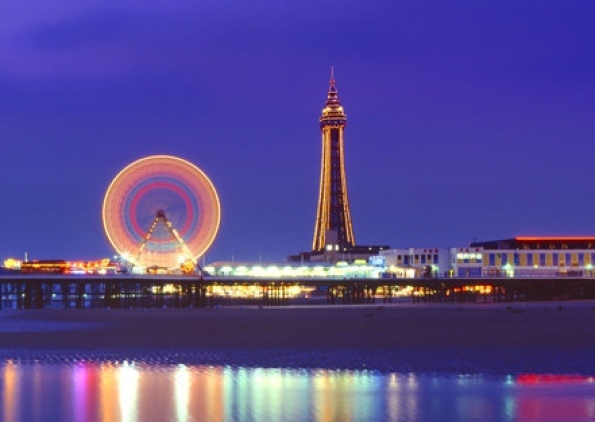 If you are planning a weekend visit sometime between August and November then you have to experience the not-to-be-missed Blackpool Illuminations. This annual event has been taking place in Blackpool since 1879 and have been dubbed the "greatest free light show on earth". The decorative light displays are 6 miles long and use over one million bulbs, stretching along the Promenade from Starr Gate at the south end of the town to Bispham in the north. There are tonnes of bars and restaurants to choose from in Blackpool so it can often be difficult to know where to start, but we hear good things about The Revolution Bar, The Manchester which also serves yummy food as well as drinks as well as Piazza Italia and Michael Wan's Mandarin for food. 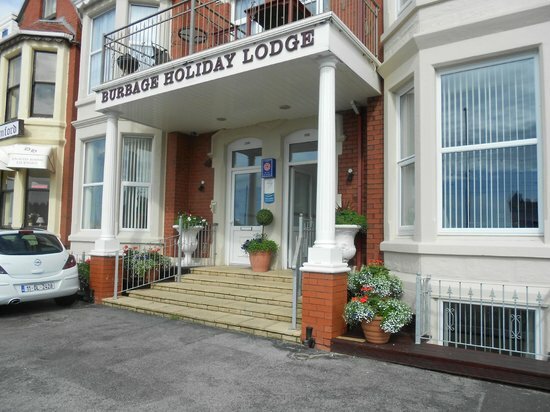 Finally, so that you can rest those aching dancing feet and also aching head the morning after we recommend staying at the Burbage Holiday Apartments which all have wonderful sea views or if you fancy a hotel then The Maples Hotel gets fab reviews on Trip Advisor. So if the idea of a Kiss Me Quick hat and a city brimming with fun bars sounds like just what you are looking for then get in touch about our pamper party packages. We also arrange bespoke packages for corporate events in Blackpool and throughout the UK, so do get in touch for more info.